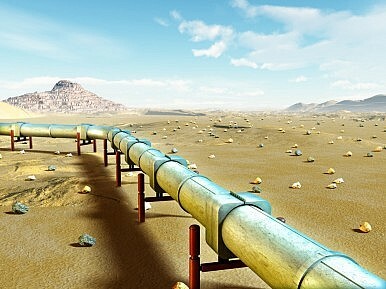 Iran’s Deputy Oil Minister announced that Pakistan would not be receiving a $500 million loan to construct the pipeline. After reports last week that Pakistan wanted to accelerate the construction of the joint Iran-Pakistan gas pipeline after a series of delays, Iran announced on Saturday that it would no longer finance part of the construction on the Pakistani side. The announcement represents a sudden change of heart on the Iranian side, given that the two countries met just over a week ago in Tehran and mutually agreed to “formulate a road map” to complete the gas pipeline project. The pipeline could still theoretically see completion, though not without Pakistan overcoming major financial obstacles. The statement was delivered by Iran’s Deputy Oil Minister Ali Majedi via an online comment, speaking on behalf of Iran’s Petroleum Minister Bijan Zanganeh. Zanganeh was present at the bilateral consultation over the pipeline that took place in Tehran recently. Iranian investments in constructing the pipeline on its side of the border have exceeded $2 billion. Pakistan’s potential sources of funding remain limited — U.S. opposition to the project, over concerns that Iran-Pakistan cooperation could be deleterious to its interests, rules out an easy source of funding for Pakistan. The U.S. has instead pushed for an alternative pipeline that would deliver gas via Turkmenistan, bypassing the Iranian route entirely. The Iranian Petroleum Ministry directly recommended that Pakistan seek financial assistance from European countries. “Iran’s Petroleum Minister Bijan [Namdar] Zanganeh recommended Islamabad to demand help from third-party companies for the completion and acceleration of the project on the Pakistani soil,” Majedi said, according to Pak Tribune. Pakistan’s Federal Minister for Petroleum was receptive to the idea, according to Majedi. Recently, Pakistani Prime Minister Nawaz Sharif turned to the European Union for economic assistance. The Iranian announcement complicates the project significantly for Pakistan, which is already behind schedule. It looks increasingly unlikely that Pakistan will be able to meet the winter 2014 deadline and may be forced to pay Iran $1 million per day of delay as per their pipeline contract. The pipeline project will be a continued source of tension for Pakistan’s relations with Iran in the coming year.